Giorgio Vasari was not only the architect that designed the Uffizi palace, and a respected artist, but he was also an important biographer. His book Lives is a collection of biographies of Italian artists from Medieval Age to Renaissance, that is still considered an important source for the history of art. However, we know from a very long time that much of the information in the book is inaccurate or wrong. Let’s consider a very specific example, the one about Domenico Veneziano’s death. In his biography, Vasari tells about the deep friendship between the artist of Venetian origin – Domenico Veneziano – and the Tuscan painter – Andrea del Castagno. The two men worked in Florence, in the central decades of the 15th century, and they became protagonists of an important period for Italian art, that paved the way for the Renaissance. Andrea had a peculiar and dramatic style, with almost expressionistic effects. It had few imitators in Florence, but many in Emilia. It is important to notice that Vasari considered Andrea a strange and violent man, because of his style of painting! Domenico Veneziano, on the contrary, seemed to the biographer a kind man, as his clear and bright style. Now this fact amuses us, but we have to remember that Vasari – in the 16th century – did not have the “intellectual tools” of today. So – in some cases – he relied upon second hand or misunderstood stories. In effect, Vasari confuses the protagonists of a real fact with the two painters, and he looks for the evidences of his story in their art! According to the biographer, the friendship between the two artists ruined because of Castagno’s envy of Veneziano’s artistic success. Vasari tells that Castagno – in order to upstage his friend by discovering his secrets – feigned fondness and respect for a long time. In particular, Vasari tells that Veneziano introduced oil painting in Florence for the first time, and that the secret of this new technique was the reason of the murder. Once he stole the secret, Andrea eliminated his friend with cruelty: he knew his habits very well, so one night he waited for him – hidden behind a corner – while Domenico was coming back home, and he smashed his head with two leads. Only on his deathbed, Castagno revealed his murder. 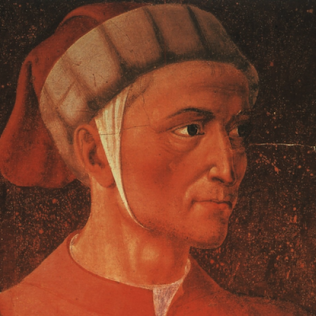 However, their dates of death are written with absolute certainty on death registers of the time: so, we know that Veneziano died four years after Castagno, passed away because of the plague in 1457! Vasari confuses the lives of these artists with another real fact: in about 1448 a certain Andrea killed a certain Domenico, and they were two painters! Over time, the legend involved our more famous artists, until the story was fixed in the Lives book. So, Vasari created this dark and tragic couple of friends, that to someone seems similar to the Mozart-Salari one, because of the role played by the envy.